While creating a message, click the Options tab at the top of the message screen. Click the arrow next to More Options. Click the Security Settings button. The Security Properties dialog box appears. 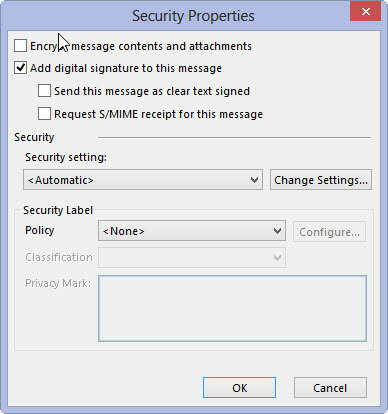 Select the Add Digital Signature to This Message check box. Click OK, and the Security Properties dialog box closes. Click Close, and your message is secure. Adding a digital signature slows down the message somewhat because your computer has to check with the computer that issued your Digital ID to verify your signature. 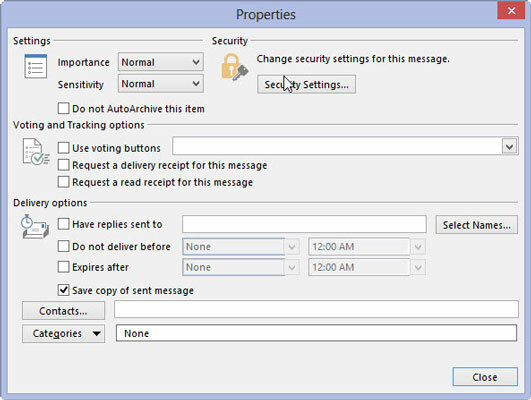 But because Outlook checks your Digital ID, your recipient can be sure that your message really came from you, and that’s the whole point of digital signatures.